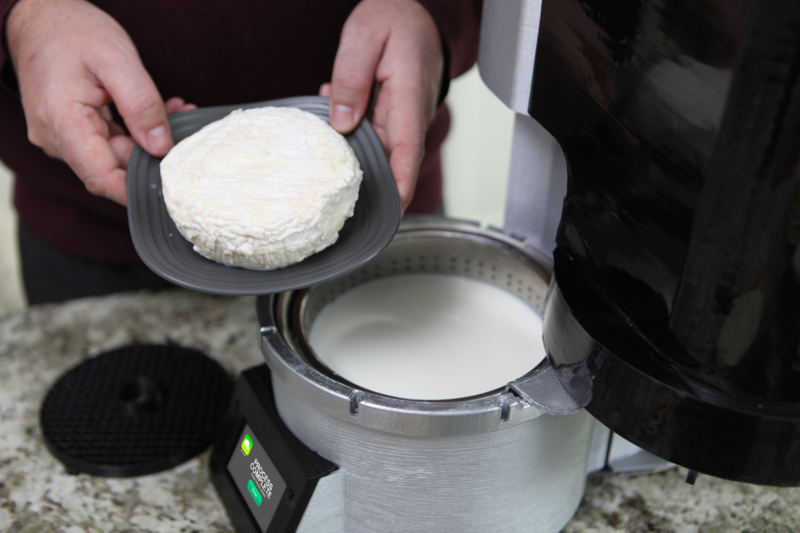 Fromaggio Home Cheesemaker — It's easy to make your own cheese! Fromaggio takes the skill from advanced factory machines and combines it with the artisanal aspect and convenience of home cheesemaking. 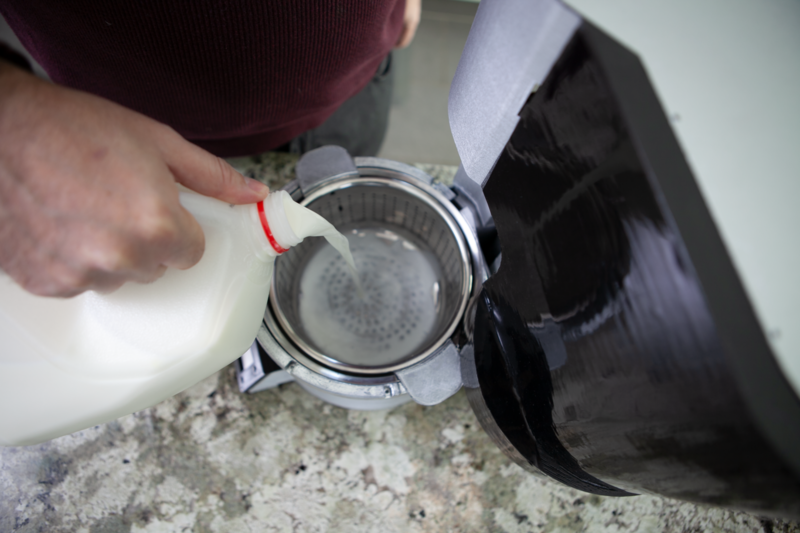 Simply pour in milk, cultures or rennet, choose from a default cheese setting (or program your own) via our mobile app, and the machine will perform the rest of the process — from heating the milk at various temperatures and intervals to mixing, cutting the curd, draining the whey, and even pressing the cheese. Now, you can ensure your cheese is more authentic, natural and healthier than store bought cheese. When you try homemade cheese made with fromaggio, you might be tasting real cheese for the first time! An LCD touch screen display makes programming easy, and fromaggio also connects to a mobile app, via Bluetooth connectivity, where you can control the machine, read instructions, order ingredients, customize and share recipes, and more. Fromaggio makes almost any type of soft or hard cheese (and healthy yogurts too!) — cream cheese, chevre, ricotta, cottage, mozzarella, parmesan, camembert, comté, cheddar, bleu, colby, provolone, keffir, kosher, lactose-free, or even vegan cheese with soy or almond milk. You can also make tofu or cook other foods by using it as a sous vide! 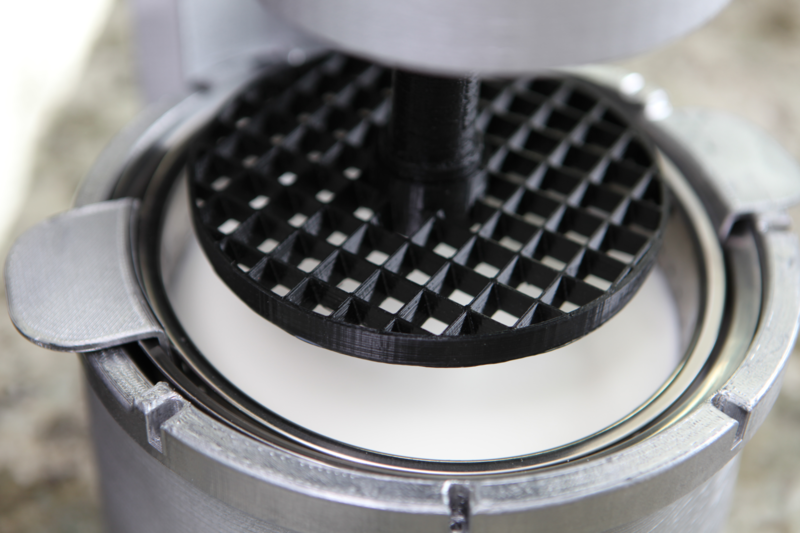 Fromaggio has detachable heads that feature different size cutters, and even a press, to help create your perfect cheese. 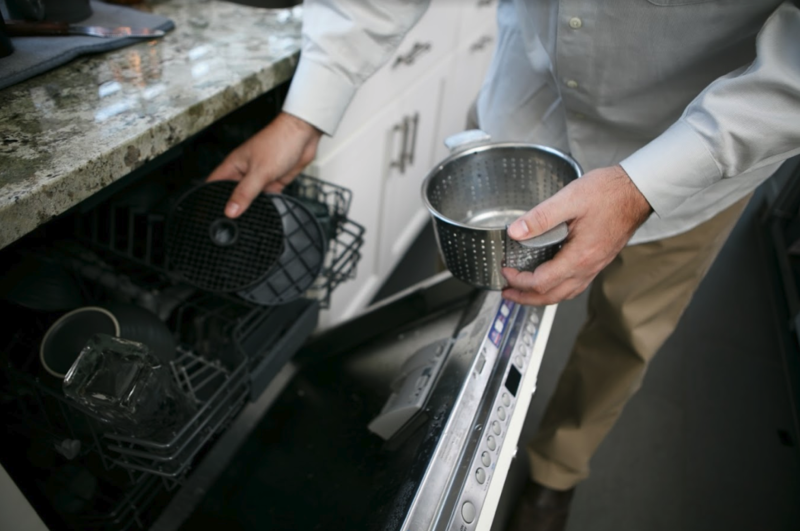 With a removable, dishwasher-safe drainer, various size cutters and press, fromaggio is extremely easy to sanitize, maintain and re-use.